Director of social communications, Lagos Catholic Archdiocese, Monsignor Gabriel Osu, has called on the Nigerian government to rescue Leah Sharibu, just as Evangelical Church Winning All (ECWA), declared a three-day prayer for her release. 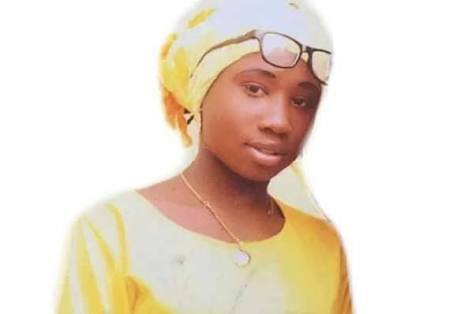 A letter issued by the General Secretary, ECWA, Reverend Yunusa Nmadu Jnr, was forwarded to all branches of the church worldwide declaring an intensive prayer for the kidnapped girl. “Following the recent threat to the life of Leah Sharibu and her continued incarceration in the hands of her abductors, the church has declared Monday to Wednesday a time of prayer and fasting for her release and other abductees of Boko Haram.” As contained in the letter. Vanguard reports that after the killing of Saifura Khorsa, an aid worker with the Red Cross, who was kidnapped about six months ago at Rann camp for internally displaced persons, IDPs, in Borno, the Islamic State West Africa Province (ISWAP) a faction of Boko Haram, threatened to kill the lone Christian girl abducted in Dapchi, Yobe State. “The latest threat by terrorists to kill their captives avidly shows that we are now at the mercy of terrorists who now determine our existence. “It’s obvious that our government knows these terrorists and they talk often and what we are witnessing is nothing more than a grand design by a group of terrorists to extort money from the Nigerian state. The director however called on the Federal Government to comply with the demands of the group and free Leah from trauma.